I made these muffins yesterday. For the alternatives, I used butter, sour cream, spelt flour and maple syrup. The muffins were fully baked in 18 minutes and I removed them from the baking pan after five minutes. I also used parchment baking cups. The first day the muffins tasted good. I put them in plastic bags and the second day they were excellent. I will be making these again using honey instead of maple syrup. I did not use any sanding sugar on the top of the muffins. Even though I have a sweet tooth, these “not too sweet muffins” were very tasty. Hi there, So glad to read your review. I’ll add a note about checking them before the 20 minute mark and that the spice flavours develop beautifully. Thanks for sharing. I use two oven thermometers and a handheld infrared thermometer to make sure the oven temperature is correct. I did use a dark colored non stick pan so that may be why the muffins were done a couple of minutes sooner. I also let my oven preheat for at least 20-30 minutes before I bake. It is worth the wait as the temperature is more even throughout the oven. Thanks Bernice. I love how bread and molasses is still a treat. Baked those today…. no bad… however, very strong taste of baking soda. Maybe baking powder would work better? Thanks for your message. 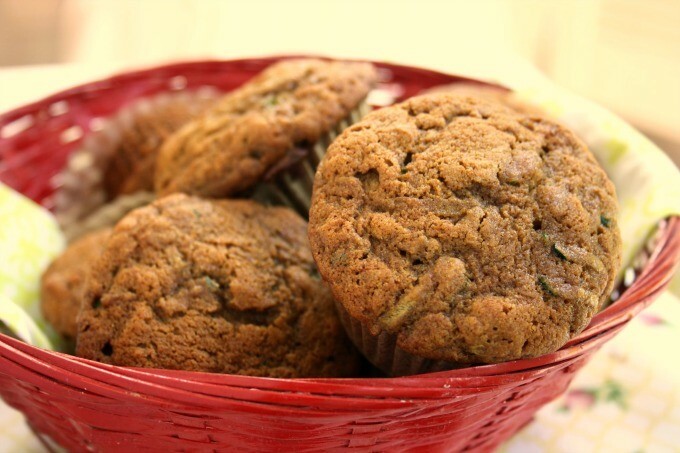 I didn’t notice the taste of the baking soda when I baked these muffins. They may work with 1 tsp. baking powder and 1/2 tsp. baking soda but I’m not sure since I have only made them with the 1 1/2 tsp. of baking soda. I just made these muffins this morning. They are delicious. I added a cup of raisins and we really enjoyed them. Hi Nancy, Raisins are a nice addition. Thanks for the suggestion. Could banana be added somehow to this recipe? Hi Donna, I’m sure you could add banana. I’m just not sure of the ratio and whether or not you could omit the butter entirely or cut it in half. If I was to try adding banana I’d reduce the fat by half and add just one mashed banana. Can’t guarantee it would work, but that’s what I’d start with. 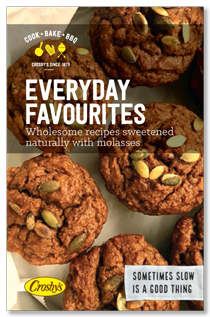 You might want to take a close look at some other banana recipes to get an idea of quantities. Hi Sharon, Great suggestion to add chia. I’ll give that a try. Do you grind your chia or add it whole? The recipe did not specify how many muffins it made. Hi Johanna, The recipe makes 12 muffins. Enjoy! 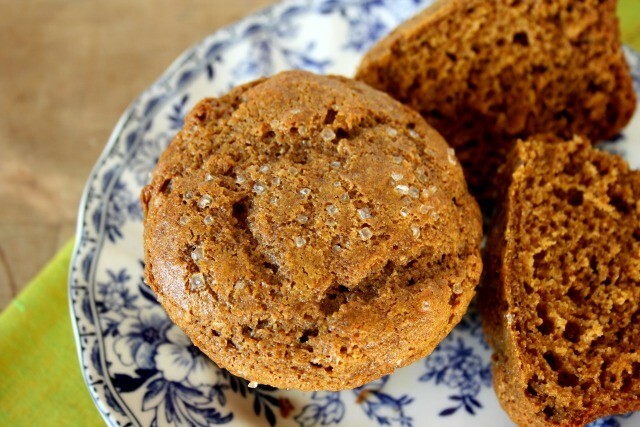 I will be trying these muffins because I absolutely love gingerbread. When I bake them, I will skip the sanding sugar, and add some chopped crystallized ginger. I’m sure they will be delicious. Hi Susan, Yes, you can always use regular flour in place of spelt or whole wheat. These sound delicious! Love Molasses. Love Ginger. Being diabetic I will use Splenda instead of sugar. Can just all purpose flour be used Bridget? Can just all purpose flour be used? I diced candied ginger and added it to the mix. Used white flour and buckwheat honey. They turned out darker but so velvety soft. I will make these again for sure. Hi Cindy, Great suggestion to add candied ginger.  And buckwheat honey is my very favourite…. 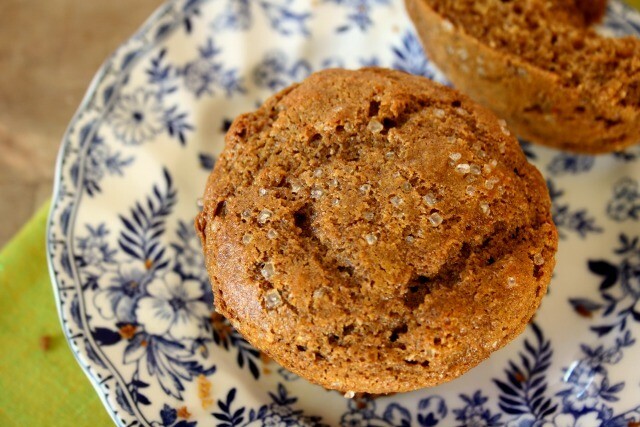 Have made this receipe a few times now add I add 1/2 cup raisins, love these bring to work for coffee break, so easy and much better then coffee shop muffins , the raisins are a great extra, so easy and so good! Hi Bridget, I have a new recipe that I would like to submit with pure chocolate and beans to make Chocolate Bean Muffins. 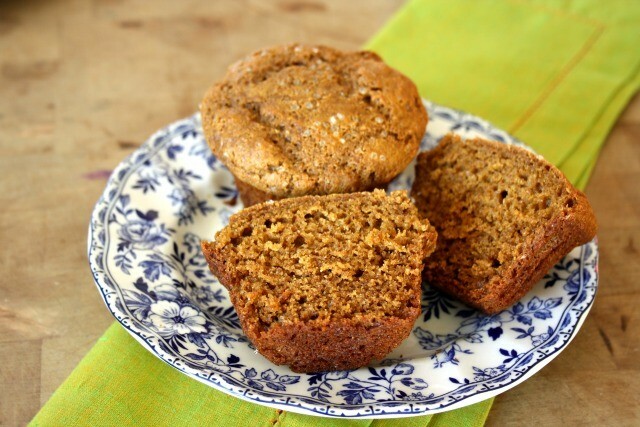 I submitted a recipe for Ginger Molasses Muffins that I cannot find on your site. Were they not liked by anyone. I think these Chocolate Bean Muffins will go over well with everyone. Hi Alan, Yes, your lovely ginger muffin recipe is still on the site. I call them Alan’s Ginger Molasses Muffins. 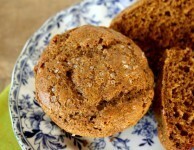 Here’s the link: http://dev-crosbys.pantheonsite.io/healthy-ginger-molasses-muffins/ I’d love to see your new muffin recipe. What do you mean by flour ‘spooned in’? Hi Marlene, if you spoon the flour into the measuring cup, you alleviate some compression and get a more accurate measurement of flour. Hope this helps! Is there a substitute for the sour cream that I could use? More often than not I use plain yogurt in place of sour cream. Sometimes I’ll use Greek yogurt.